The cosmetic dentist is actually one of the only dentists people are excited to come and see. Even with a large percentage of the population deathly afraid of dentists, it would seem that the ability to choose improvements to your teeth overcomes much of this anxiety. This is probably because, as a cosmetic dentist, we are focused solely on making your teeth look better, and this is a goal that most anybody can embrace. To do this, we use a variety of techniques that range from the quick and easy to the more complicated. Everything from teeth whitening to dental veneers and dental crowns falls under the banner of what a cosmetic dentist does, and so we are very often asked by patients if there are conditions or situations that would prohibit them from getting a cosmetic dentist treatment. The answer, in the simplest of terms, is no - with a caveat. The caveat is that when you come in to see your cosmetic dentist, we will put you through an intensive examination process. 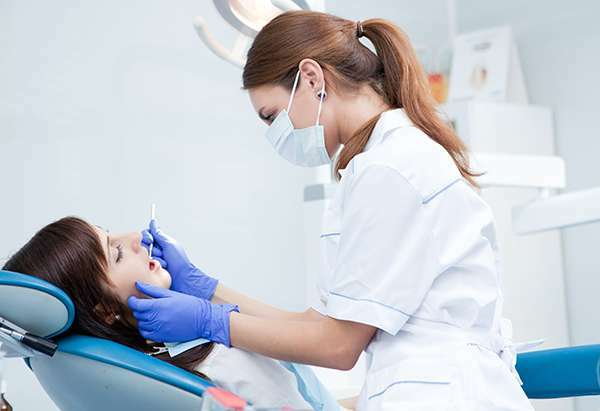 Our goal is to find out if there are any underlying problems or conditions that would cause undue complications in the cosmetic fixtures and treatments. For example, when we place dental veneers, we are required to shave away a portion of your enamel so the new veneers can be placed flush with the rest of the tooth. Doing this safely means we have to ensure there is no infection under the surface that could create problems during or after the procedure. There are a few things that can delay a cosmetic dental procedure, but the list of things that can stop you from getting something like veneers permanently is negligible. The good news is that when you have a problem, it is often minor enough to be fixed in a few weeks through a variety of treatment options, putting you back on track to get your cosmetic dentist fixes for your smile. Our goal when you first come in to get a cosmetic dentist solution to your smile is to quickly identify if there are any issues we need to deal with, and effectively treat them so you have a healthy situation going into the cosmetic part of the treatment. Remembering that many of the things we do have a sense of permanence, it is critically important to start your treatment with a clean and healthy mouth. Perhaps the most common reason why your cosmetic dentist may need to pause while giving you the treatment is a very common issue across the dental world. Cavities, which are actually a form of decay, are something that need to be treated before many cosmetic procedures can be initiated. This is because cavities damage the enamel, with the oral bacteria being able to introduce decay into the mouth. We do not want to work on the teeth around this decay, which can spread easily to the newly fixed and still vulnerable tooth. Instead, it is far more prudent to clean out the bacteria, have your cosmetic dentist fill it, and then move to the next step.